Click Here for our Wholesale Store Bulk Case of 96. Hi-Tech Yellow 4" Foam Applicator is a great multi-purpose applicator to evenly apply waxes, glazes, sealants and fine polishes but it is also works well for interior and exterior dressings and conditioners. The handy 4" size fits nicely in your hand and may be washed and reused over and over again. 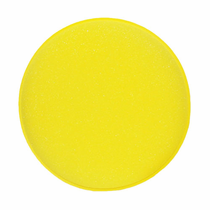 When Hi-Tech Yellow Foam Applicator gets dirty simply wash with a mild soap and water, then air dry so it is ready to use again.